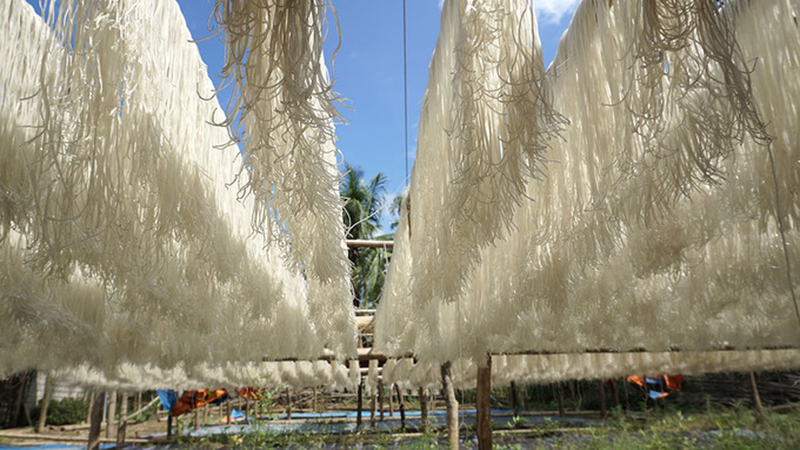 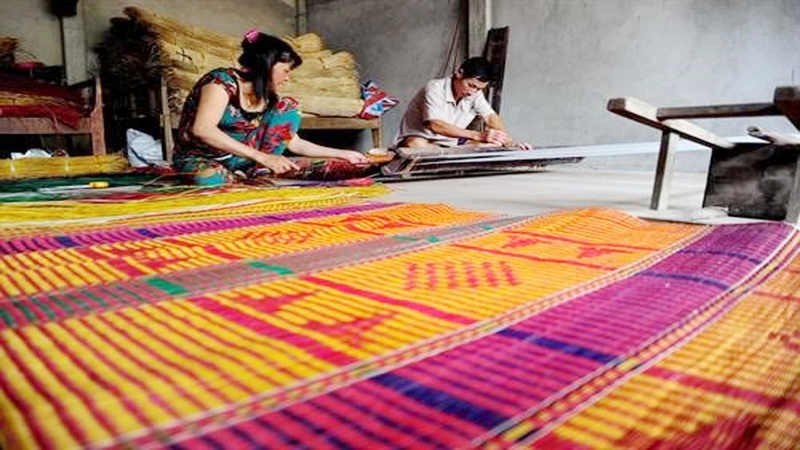 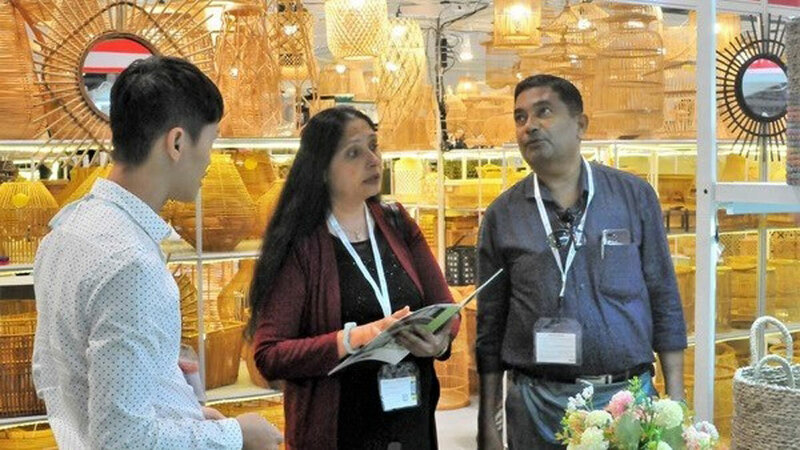 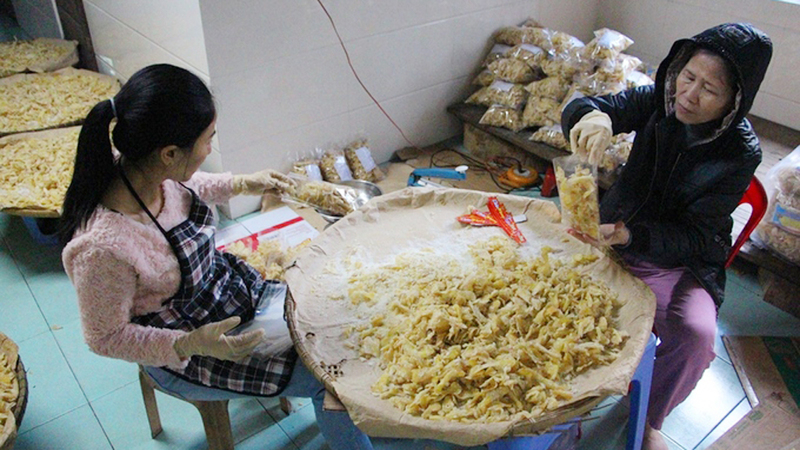 It is the most frantic time of year for workers in the cottage industry in Quang Phu Cau village on the outskirts of Hanoi, where families have been making incense for more than a century - a great source of pride for many. 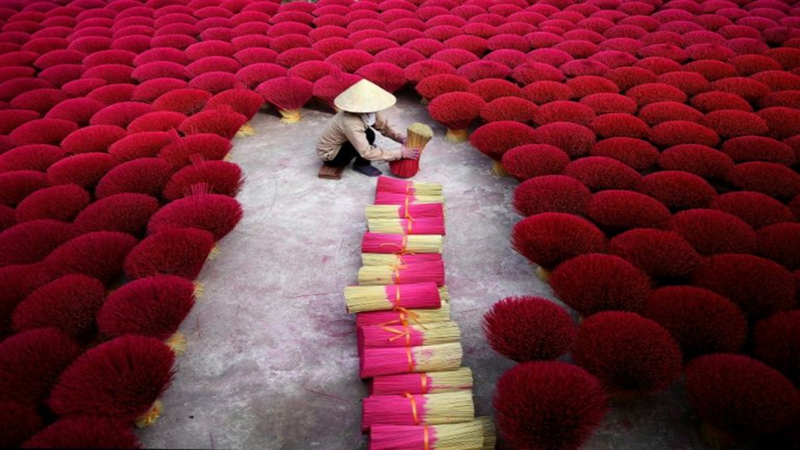 Sales tick up every year ahead of and during the Tet Lunar New Year holiday in February when throngs of people crowd into temples to light incense during worship or burn the sticks on the ancestral altar at home. 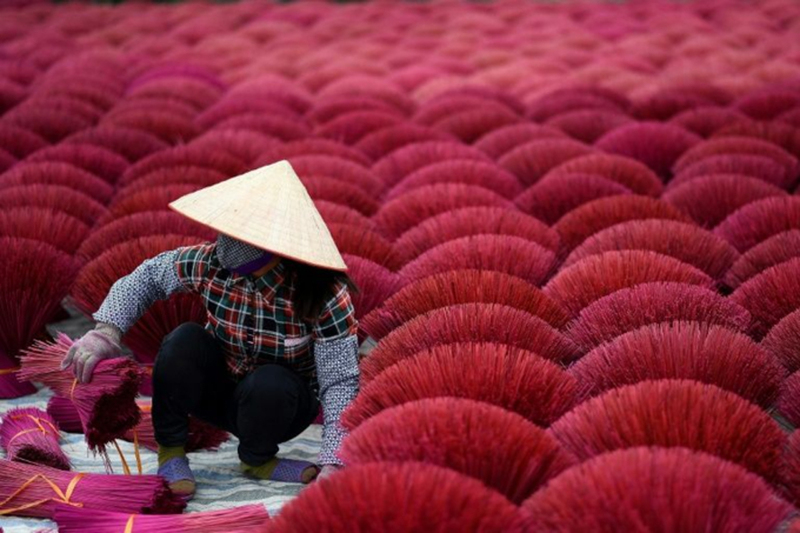 Motorbike riders are seen on a village road where incense sticks are put to dry. 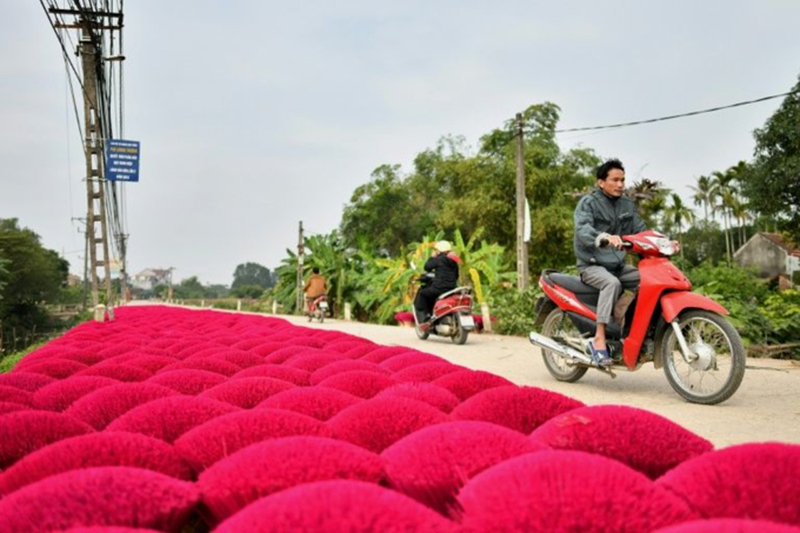 Some hack bamboo planks down to be fed into a whittling machine; others dip the thin strips into buckets of pink dye, leaving hundreds of brightly colored bushels fanned out like bouquets on the streets to air out. 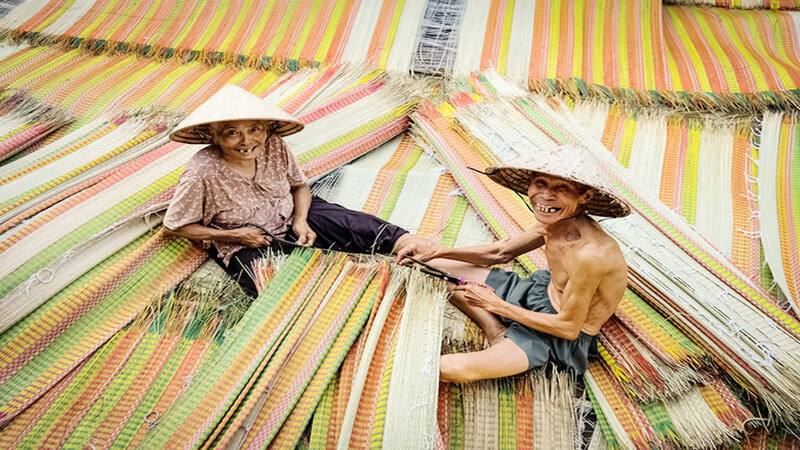 In Quang Phu Cau village on the outskirts of Hanoi, families have been making incense for more than a century. 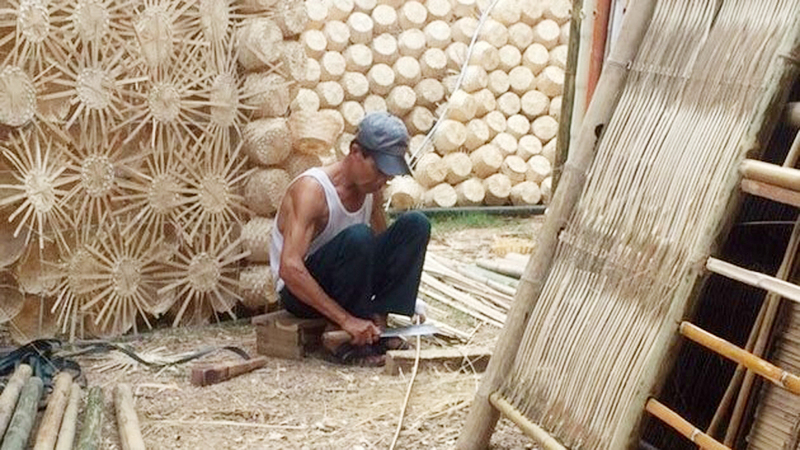 (BGO) - Through the mobilization of the Fatherland Front Committees at all levels in Bac Giang province, many agencies, units, businesses and benefactors have joined hands to support the construction of hundreds of houses and prepare tens of thousands of gifts for poor households with especially difficult circumstances in order to help them have a warm and happy Tet holiday. 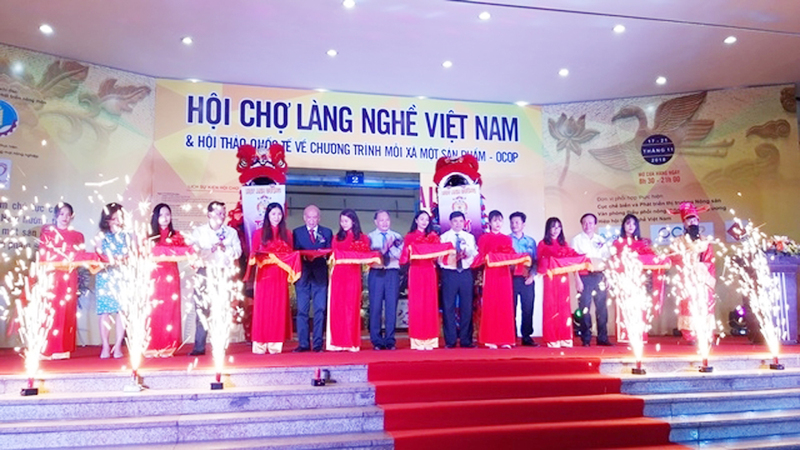 President of the Vietnam Red Cross Society (VRCS) Nguyen Thi Xuan Thu on January 5 presented 30 gift packages to poor children who are undergoing treatment at Hanoi-based Viet Duc Hospital ahead of the upcoming Lunar New Year (Tet) festival. 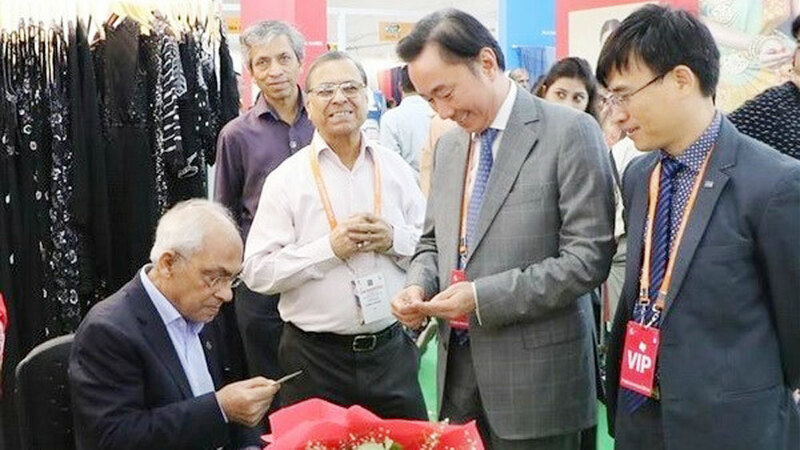 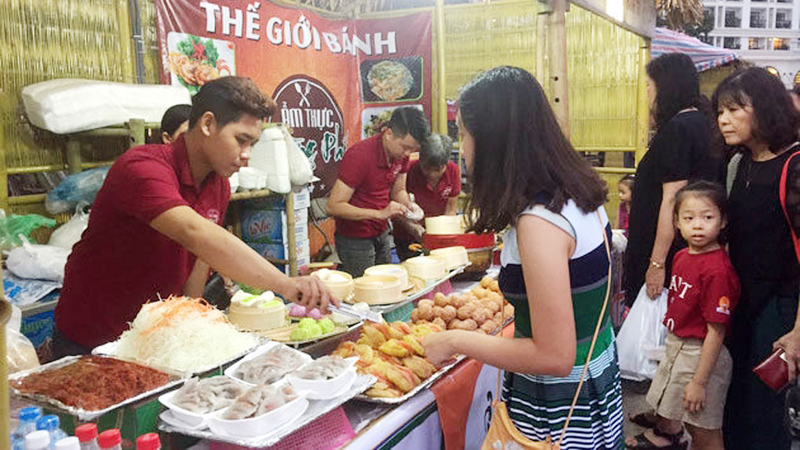 There are now nearly 70 places for blood donation throughout the country in anticipation of the coming Lunar New Year, the longest festival in Vietnam, organizers of the drive announced at a ceremony in Hanoi on January 6. 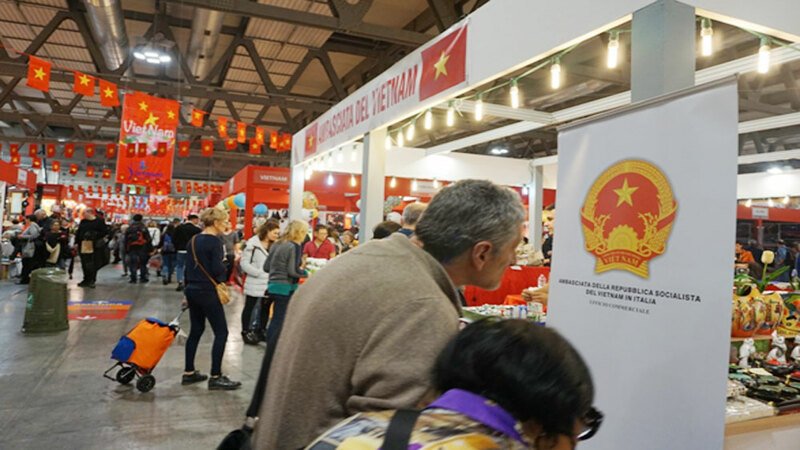 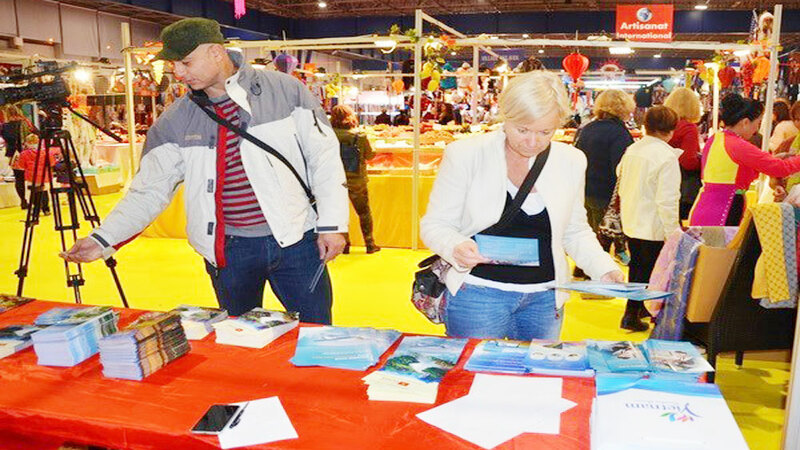 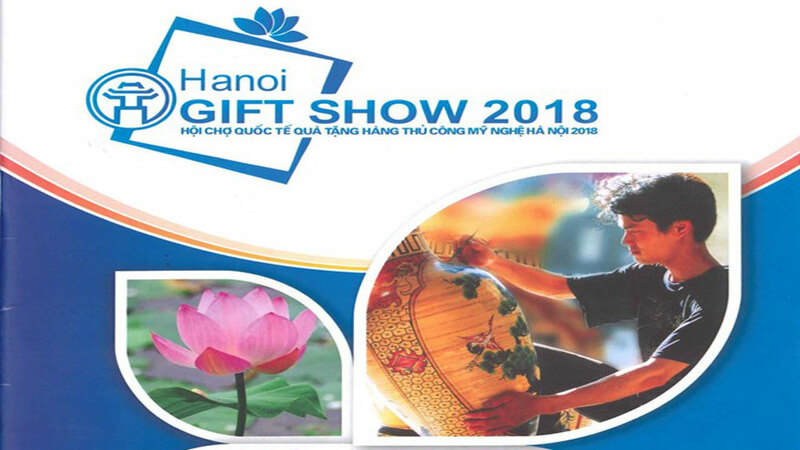 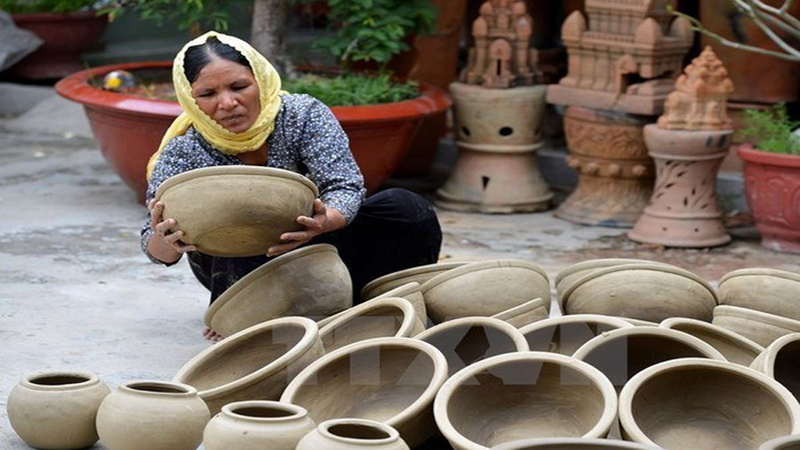 Hanoi will organize a number of cultural and artistic activities to celebrate the upcoming Lunar New Year (Tet) festival, which lasts from February 5-7.